Union Township in northwestern Hunterdon County has been recognized by New Jersey Monthly magazine for both its exceptional lifestyle and outstanding schools. The township was ranked 21st on a list of 566 municipalities in the publication’s “Best Places to Live in New Jersey” issue in 2008. In 2010, when New Jersey Monthly released the names of the top high schools in the state, North Hunterdon High School was named 60th on a list of 322 high schools. Union Township students attend North Hunterdon with students from several surrounding townships. Union Township’s local elementary and middle schools are also highly-rated. 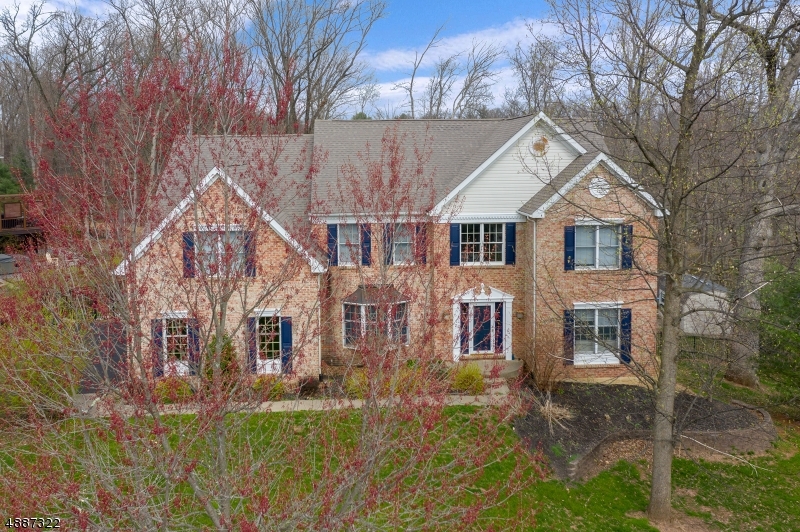 Residents of Union Township appreciate relaxed country living combined with suburban conveniences such as excellent shopping, outstanding cultural events and superb educational facilities nearby. The township is a short drive from Interstate 78 or Route 31, while the historic villages of Clinton or Flemington are five and 15 minutes away respectively. Measuring approximately 20 square miles, Union Township has a population of about 5,900 residents. Bordering municipalities include Alexandria, Bethlehem, Clinton, Franklin, Holland and Lebanon. Three historic communities in Union Township are Pattenburg, Jutland and Norton. Both Pattenburg and Jutland were railroad stops, making them attractive places for homes and businesses. Schools, community centers, churches and shops established these village centers, which have all been designated as historic districts. Built in 1742, the Union Furnace is the township’s namesake. This iron slitting and rolling mill forged cannon balls for the American Revolution. The furnace also produced horse shoes and farming tools for local customers. As the business grew, dense forests were cultivated for firewood to keep the furnace active. These woodlands eventually became farmland, and subsequent industries in Union included leather tanning and basket making for locally-grown peaches. The Union Furnace operated until the 1780s and stood until Spruce Run Reservoir was created in 1961. Union Township was officially formed in 1853 when it broke off from a southern portion of Bethlehem Township. It’s not surprising that a community with such a long history still has many examples of those bygone days in the form of old taverns, farmsteads and historic districts. In 1976, the Hunterdon County Cultural and Heritage Commission identified 125 historically-significant properties. Interestingly, over 100 structures appearing on the 1860 Farm Map of Union Township are still standing today. Wide open spaces in Union Township make it an ideal place for equestrian properties, horse farms, agricultural businesses and luxurious estates. 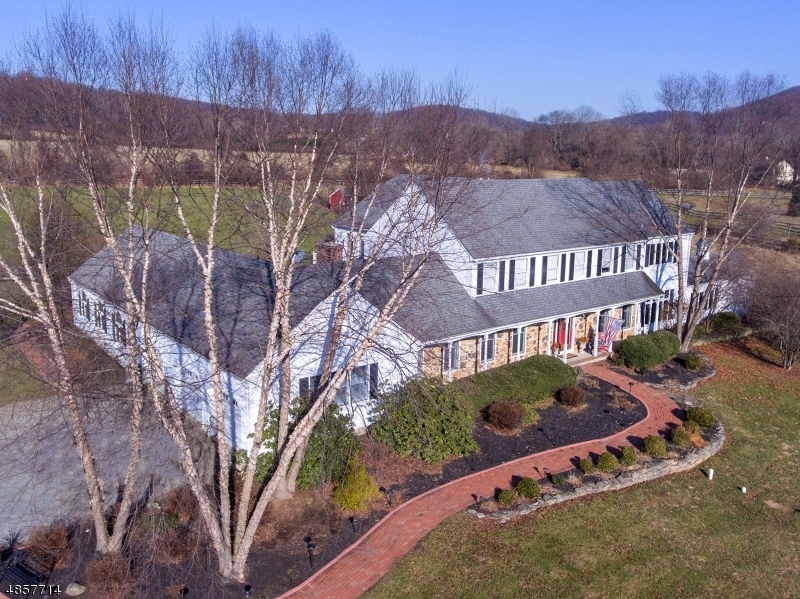 There are a variety of custom homes, antique farmhouses, historic properties, Colonials, Victorians, ranches, townhomes and condominiums located in the township. Several housing developments offer roomy single-family homes set along on quiet cul de sac streets. Union Township is about 55 miles from Manhattan, 66 miles from Philadelphia, and 44 miles from Newark Liberty International Airport. The Pennsylvania border is about 12 miles west, where Easton is located just across the Delaware River. Interstate 78/22 passes through Union Township at Exits 11, 12 and 13. Train service via NJ Transit is a trip of about an hour to Manhattan from nearby Annandale, while New York-bound bus service is also available on Trans-Bridge Lines. Bus routes depart from the Hunterdon Hills Playhouse in Union for an hour-plus trip to Port Authority in midtown. The company also has scheduled service to Newark Liberty International Airport, JFK Airport and New York’s Hudson River cruise ship terminals. Students from kindergarten through eighth grade attend public schools in Union Township. The Union Township Elementary School is located at 149 Perryville Road in Hampton, and the Union Township Middle School is nearby at 165 Perryville Road. Union Township Elementary School is the second highest-ranked elementary school in Hunterdon County. During the 2011-12 school year, 268 students were enrolled. In addition to the regular academic curriculum, students have special instruction in art, computers, library, gym and music. The school also has an enrichment program. The Union Township Middle School is also ranked number two in Hunterdon County. While the school was ranked 123 out of the 689 middle schools in New Jersey in 2008, by 2010 it moved dramatically upward to 37th place. 260 students in grades five through eight were enrolled at the middle school from 2011-12. Academic programs are enhanced by athletic programs and clubs for art, computers, drama, science and student council. The middle school also has a Jazz Band and National Junior Honor Society. The Union Township School District as a whole is ranked 28th out of 559 districts statewide. Students in grades nine through 12 attend North Hunterdon High School at 1445 Route 31 in Annandale, which is part of the North Hunterdon-Voorhees Regional High School District. Recognized as a National Blue Ribbon School of Excellence by the U.S. Department of Education in 2002, North Hunterdon High School attained the highest award a school can achieve. Additionally, the high school has been cited by major publications such as The Washington Post, Newsweek and New Jersey Monthly for their outstanding academic and athletic programs. The school has also received Best Practice Awards from the New Jersey Department of Education in Mathematics, Special Education, Music and Science. 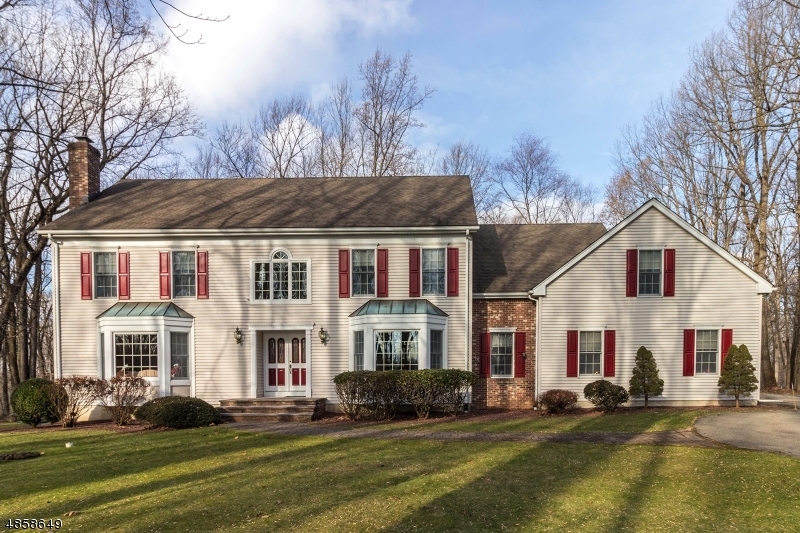 Opened in 1951, North Hunterdon has had numerous additions and updates over the years. The Lions are the high school’s nickname, while its mascot, Reggie, is a little wordplay from when the school used to be known as Regional. In addition to Union residents, the high school also serves students from Bethlehem Township, Clinton Township, Lebanon Borough and Franklin Township. Approximately 1,845 students are taught by 161 faculty members, many with advanced degrees. In the graduating class of 2011, 73% of students went on to attend a four-year college and 25% went on to a two-year college or post-secondary school. Students from the class of 2009 attended Rutgers, Boston College, Carnegie-Mellon, the College of New Jersey, Columbia, Cornell, Duke, New York University, Penn State, Rochester Institute of Technology, Dartmouth, William & Mary, Williams and Yale. Youth in Union Township are well-served by the all-volunteer Recreation Committee. Sports teams and lessons serve those from the early elementary years through high school. Recent recreation programs and teams include t-ball, junior baseball, softball, baseball, basketball, field hockey, lacrosse, tennis lessons and soccer. Additionally, all playing fields are administered to by the Recreation Committee. The Union Township Senior Citizens Club meets twice a month in the Municipal Building at 140 Perryville Road to plan a schedule of events, trips and activities. Local, county and state parks in Union Township provide dedicated space for everything from sports fields and hiking trails to fishing, swimming and camping. Finn Road Park on Finn Road offers 132 acres which consist of a half-mile walking path, a 5K moderate hiking trail through woodlands and farm fields, baseball and soccer fields, a playground, snack shack and a covered picnic pavilion. The park is located about a mile and a half from the Union Township Schools. Millbrook Park on Strotz Road is located near exit 11 of Interstate 78. There is a full-size soccer field and a Little League baseball field. Hoffman Park is operated by Hunterdon County and has two entrances in Union Township. The main entry is at 26 Baptist Church Road and the east entrance is at 751 Mechlin Corner Road, both in the Hampton section of Union. Located on the former site of the Hoffman family farm, the park contains 353 acres of hiking trails amid 32 ponds, forests, meadows and open land. The Hoffmans owned Hoffman Beverage Company in Irvington, which produced a popular line of bottled soda before closing their business in 1953. Spruce Run Recreation Area on Van Sykles Road is a state park centered around the Spruce Run Reservoir. The reservoir is the third-largest in the state, measuring 1,290 acres and encompassing 15 miles of shoreline. Facilities are available for boating, fishing, swimming, camping, picnicking and hiking. Hunterdon Hills Playhouse has entertained millions of theater-goers since its 1981 opening. The state-of-the-art facility on 90 acres is located on the site of a former dairy barn and is open all year long. It offers dining while viewing live theatrical events and performances at a scenic location on Route 173 in the Hampton section of the township. The Pattenburg Historic District in western Union Township was the site of the area’s first school in 1804. Nearly 100 years later, in 1898, a second schoolhouse was operational until 1954 and still exists. Also in this village is the circa 1853 Methodist Church and church cemetery. On the outskirts of Pattenburg was Bellewood Park, a popular amusement park in that opened in 1904 and bought many tourists who traveled by train to ride the Ferris wheel and merry-go-round, eat in the spacious Farmhouse Restaurant and dance in the pavilion. The park operated until World War I.
Jutland was the site of another rail station, and in the early 1900s much of the fruit and milk produced locally was transported from here to New York City. In its heyday, the village included a town hall, blacksmith and farm equipment store, post office, school and a feed store. Jutland’s former school is now used as a day care center. The Rockhill Agricultural Historic District south of Jutland has a long history of agriculture; when it was placed on the New Jersey and National Registers in 1984, it was the largest designated Historic Agricultural District in the state. Many outbuildings and five farmhouses pre-dating the Revolutionary War showcase the area’s 200-plus year history of farming. The Van Syckle Historic District is listed on the State and National Registers of Historic Places. The well-known circa 1763 Reynolds Tavern was renamed the Van Syckel Tavern in 1795. The tavern, private home and other buildings are now owned and maintained by the Van Syckel-Martin family as gracious architectural examples of that era. Norton was home to the historic Union Furnace, which began a period of industrial growth in Union Township. In 1742 William Allen and Joseph Turner, both from Philadelphia, established the Union Iron Works in what is now the Van Syckle National Historic District. In addition to the furnace, William Allen owned a summer home in Norton that became known as the Union Farm. Martha Washington was reportedly a regular guest at the farm.